The Youth Running Participation Series (YS) is a group of non-competitive, non-timed youth races specifically designated as part of the year-long low key race series. These events were formerly known in MCRRC as the Young Run Series and the Junior Participation Series and have now been combined into one complete Youth Running Participation Series (YS). The youth races are designed for MCRRC members who are under the age of 18. 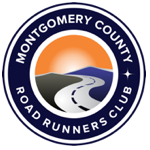 MCRRC is interested in introducing the sport of running to our younger members and encouraging physical fitness. The series includes a variety of distances ranging from 0.25 mile to 2.78 kilometers. Points are awarded to all finishers of the youth races. Participation awards can be earned by members under the age of 18 if they complete half of the youth running events in the series. Please note, some events have more than one youth race associated with it. Participants may compete in all race events, however, the maximum number of points that can be earned toward the YS award at a race event with more than one YS race is limited to one. See below for a detailed explanation of the Youth Series Rules. The Youth Running Participation Series (YS) is different from MCRRC’s Championship Series. The Championship Series is a competitive series of running events which are timed and scored. There are youth age-group categories within the Championship Series. Please see specific rules pertaining to the Championship Series for clarification. Participation in the Championship Series is separate and different from the non-compeitive, non-timed Youth Running Participation Series listed here. R1 Participant must be age 17 or younger on the last day of the calendar year. (ie participants 18 years of age by December 31st do not qualify.) Participants birthdate must be disclosed when registering for their first youth series race to be eligible for series prizes. R2 Participant must be an MCRRC member on the day of the youth series race to earn a point for that race. Non-members are not counted in determining series points. R3 The number, Q, of races needed to qualify for the youth series shall be half the number of youth series events actually conducted, rounded up to a whole number if necessary. R4 For each youth series event, a maximum of one point will be awarded to each participant irrespective of how many races they may complete at said event. Some youth series events offer more than one youth race and participants may compete in all race events at said race event. However, the maximum number of points that can be earned is limited to one at each event. R5 Participants series score is the sum of their individual series event points. R6 Participant must register for the youth series online here. Participant and/or participant’s parent/guardian must update their profile after every event completed. R8 Youth series events are not timed nor scored.